I have a problem. (Though I bet you already guessed.) I am a hoarder of journals. Blank ones. Some have been lucky enough to be used the first few pages, others lie dormant, their pages softly whispering to me to use them. Please! I have leather ones, fabric ones. Big ones and little ones. Soft and hard backed ones. Handbound and ring-bound… I have quite a collection, can you tell? A blank book, any blank book is there to be used (and abused in the case of the Wreck This Journal project), so back to the issue at hand: how to start page one? I thought I’d share my five favourite methods. Okay, it’s a cheat, but it works! Journaling is as individual as the person writing it, so make your own rules. No one said you had to start on the first page! 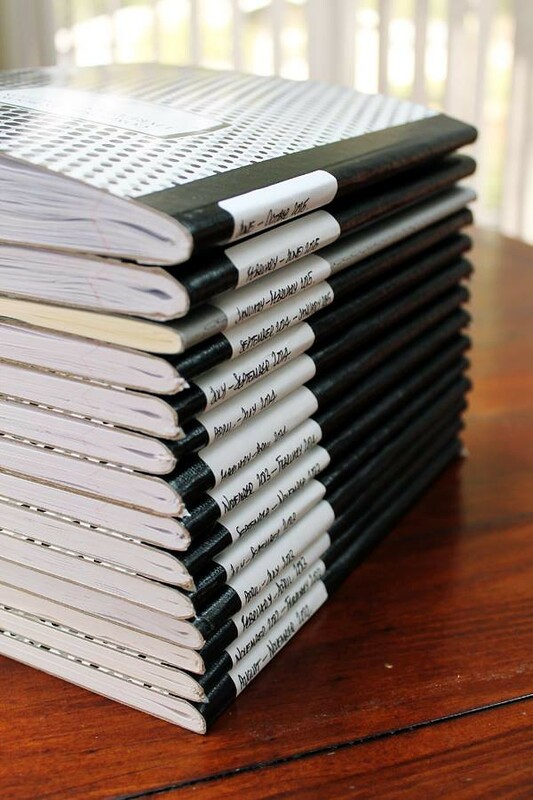 Give yourself permission to start on page two, three, seven, or wherever you like in your new journal. Even at the back is a good place to start. Think about what you are journaling for and write a list of to do’s or goals you would like to achieve towards that. Aware that this list is most likely to change during the life of your journal, think of the goals you would like to achieve this quarter. As you progress through the journal, write fresh goal lists as way markers to chart your journey. Go 3-D! I don’t suppose I’m alone in collecting all manner of bits and bobs – cute moo and business cards, wine labels, postcards, paper or dried flowers, interesting coins and paper money, clippings, tickets – you know that stuff that we gather ‘because’. Add these to your first page (and other pages throughout), and add text between the gaps. Possibly my most favourite method, start your journal with a significant and meaningful quotation (or quotations) relevant to why you are starting this book. Draw or paste an appropriate image next to your writing. I hope these ideas have helped in a small way to move you past the first page anxiety and stop you from being like me and just putting it away in a draw to be left unused. Take a deep breath and begin! Feel free to add your ideas and suggestions in the comments below.